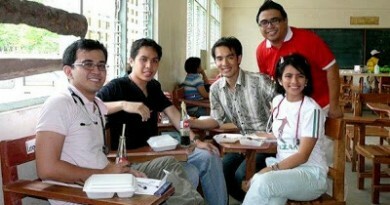 PGH, MANILA – We are saddened to hear of the accident yesterday, August 6, 2009 (Thursday), when, amid heavy rains, two 4×4 vehicles along the Mt. Pinatubo trail were caught in a deep segment of the swollen streams, overturning and sweeping away the vehicles and its 11 passengers- 9 tourists and 2 drivers. Allegedly, the vehicles were also buried by a landslide. UPDATE: The latest reports from GMANews.TV and PhilStar.com reports a total of 6 dead from the landslide, including three French nationals: Martine Cholet, Walter Steylian and Thierry Chailot, their Filipino tourist guide Orlando Fernando and barangay tanod Fidel Reila, and another local resident who took part in the rescue operations. The rest were reportedly stranded but later rescued and unharmed. According to the GMANews.TV, the team took off in fair weather but encountered inclement weather on the way back, leading to the tragic accident. Although technically not a mountaineering accident, this goes to show the volatility of the Pinatubo environment during the rainy season. When I was last there just three weeks ago, there were fresh landslides and I observed that there were portions of the lahar cliffs that could fall off any minute. Still, the 4×4 drivers of Capas, Tarlac, maintain that they do not go on trips to the crater if the weather is bad. One of them adds that the drivers in this particular accident were not part of the local drivers’ guild, suggesting that they could have been less familiar with the streams and were most likely confused with the upsurge of the waters. 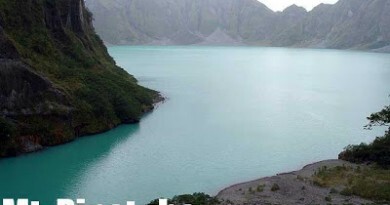 The Philippine Air Force, which has a nearby base, quickly responded to the call to rescue, as well as the Pinatubo 4Wheelers’ Association which rushed to the scene. We will update you about this incident as we get more details from media and local sources. PinoyMountaineer Tours is meanwhile suspending its planned September 5 climb. Will post further announcements regarding this. 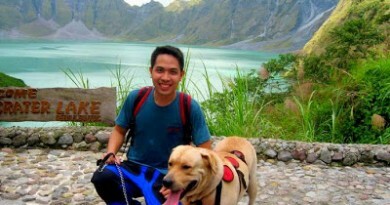 5 Comments on "(UPDATED) Pinatubo climbing accident: Six killed in 4×4 mishap"
kahit po kase hindi maulan at that time kng the previous weeks eh umulan, it is still risky… That's what happened to my friend din when they trekked Pinatubo in another trail (Porac) 4 years ago… I hope this would be a lesson to all mountaineers…. Sir/Mam napanood ko din sa news yung about dun sa nangyari sa Pinatubo sana hindi nalang sila pinayagan sa registration. This is indeed sad news. The tourists should have been more on the cautious side. I have to wonder what the center advised when they went on that trip. Should the dirvers who are not members of the guild be penalized for this lapse of judgement? I just hope that this won't discourage people from climbing.